Vegetables are an important part of world cuisine that enabled us to survive trough countless millennia, following us thought the age of early civilizations, rise and fall of many cultures over the last four thousand years, and finally reaching modern popularity that they have today. No matter where you live, eating vegetables represents important part of your daily diet that provides our bodies with important nutrients. 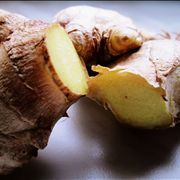 Because of their versatility in terms of cooking (we can eat them raw, boiled, cooked, and dried), wide array of cultivation techniques, untold ways they can help us in daily problems that don’t require us eating them, and high nutritional values, vegetables represented extremely important commodity for humankind. During some periods of our growth from early to modern civilization, certain types of vegetables were regarded as extremely important, often being valued more than money, gold or any other commodity that we owned. During the last five hundred years, many vegetables that were confined to their ancient breeding grounds suddenly become trading commodities of ever-expanding European countries. During the “Age of Sail” that lasted between 1500s and 1800s, all modern vegetables were finally able to reach all four corners of the earth, providing better nutrition and medicinal help to everyone. However, not everybody accepted all vegetables on their dining table. For the longest time Americans thought potato to be suitable for horses, potatoes were ignored because their tree and leaves were toxic, and some of them were ignored only because of religious beliefs (Buddhists did not like garlic between 1st and 10th century AD, Europeans disliked potato because it was not mentioned in the bible, etc.). During the journey of vegetables through the history, they managed to have many interesting interactions with our cuisine, medicine and science. 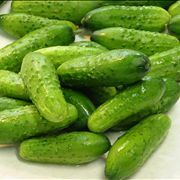 Here you can learn some of the most interesting vegetable facts. 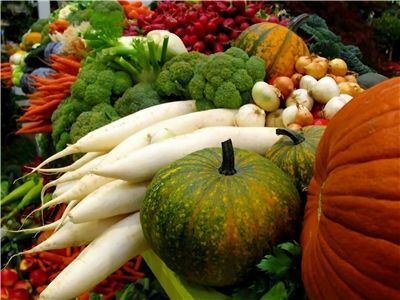 Very early in the history of modern humankind people found out that vegetables are not only good for nutrition, but also as powerful sources of health. Their medicinal properties increased their value thousand fold, ensuring their continuing growth and expansion across the entire world. Human race reached turning point some 11 thousand years ago when the first hunter-gatherers managed to domesticate wild wheat. From that point, domestication of vegetables slowly started, enabling our ancestors to control their nutrition and health like never before. Here you can learn the story of how vegetables forged us in what we are today. 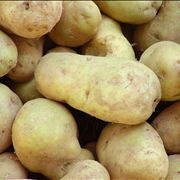 Potato is fourth most-produced crop in the world. In front of it are maize, rice and wheat. Vegetables are famous for having high amount if fiber in them. Vegetables are low in calories. 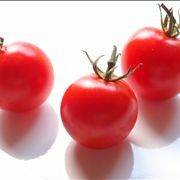 Potato has 322 kJ per 100 grams, Red tomato 74 kJ, Cucumber 65 kJ. Other famous staple foods like what and rice are in the 1400-1500 range. 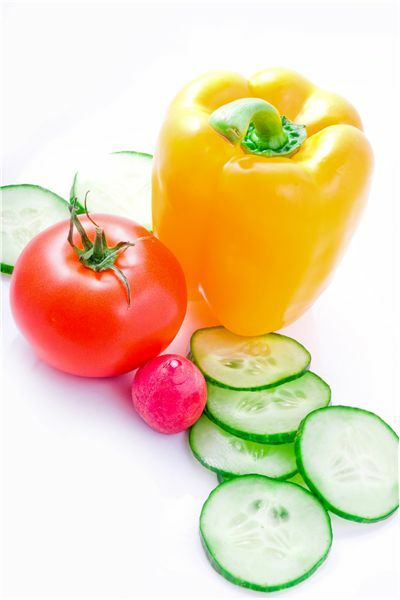 Vegetables are full of vitamins, nutrients and minerals. Their presence boosts our immune system, regulates our metabolism and enables us to live healthier and longer. If our body is lacking certain vitamins or nutrients, vegetables are perfect way to recover them. 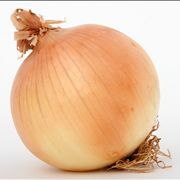 For example, potato is an excellent source of Vitamin C and Vitamin B6, garlic has a lot of Manganese, spinach has Vitamin A, and cabbage is full with Vitamin K.
In 2010 worldwide production of Potatoes reached 324 millions of tons, tomatoes 145 million, sweet potato 106 million, dry onions 74 million, and spinach 18 million. Vegetables have excellent medicinal properties. 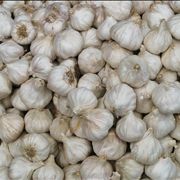 Because they are so widespread and come in many different varieties, they are able to cure us from many Illnesses and remedies. Our ancestors saw those benefits, and included vegetables and their ingredient into medicine from the earliest days of modern human civilization. Vegetables can regulate our metabolism, protect skin, help our bones, bloodstream, heart, guts, reduce risk of cancer, preserve our eyesight and much, much more. 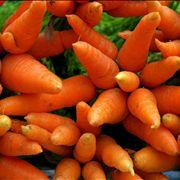 Orange carrots were first introduced during 17th century in Netherlands as a tribute to the ruling house of Orange. 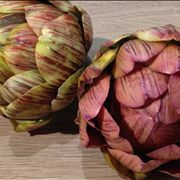 Many modern vegetables are also created through selective breeding, enabling them to become easier to grow, produce and have better ratio of healthy and unwanted components (for example, carrots were for the longest time bitter and had really wooden core).